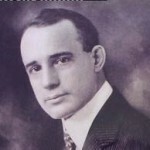 If you’re not familiar with Napoleon Hill then I’m going to assume you’re just beginning to learn how to expand and get what it is you want in life. If you aren’t new, but haven’t heard of him, then you’re in for a treat. His most famous book is Think and Grow Rich. It’s a distillation of his much larger book The Law of Success in 16 Lessons. We live in a society in which the technology of today has imprinted upon us that everything we want must come immediately. Food comes out of fast food restaurants or microwaves at home, you can text someone for an immediate answer, you can find almost any answer by using your search engine. This “instant gratification” has spilled over into our educational system and work environment. Kids think they should be able to get the grades they want without doing the work needed. Young people coming out of college believe they should be hired for a job that requires 10 years experience. Almost everyone seems to forgotten that it takes time to learn new skills and achieve the goals you want. When you learn any new skill it takes time. You are engaging your brain and your body. They have to learn to work together. Each time you practice there are electrical impulses which form tracings, or roadway, in your brain. It’s important to be patient while waiting for everything to come together so that you can learn your skill. Once you learn, and keep practicing, you will get better and better. If you want to be the best at what you do, count on spending about 10 years to become a master in your chosen area. You don’t have to be number one in order to accomplish anything. If you’re learning how to set up a webpage all you need are step-by-step directions, the patience to follow them and the persistence to keep doing what you’re doing. If you keep following this process, what would have taken you 100 hours to accomplish you could get down to 10 depending upon the project. Not everyone wants to be the top in their field. They simply want to be good. There is certainly nothing wrong with being “just” good at what you do. If you have a passion for something, be it a hobby or an area of work, you will naturally be drawn into learning more and practicing more. Because you’ll be having such a great time following your passion, one day you’ll become aware of how good you are. In fact, you’ll be better than most. there are number of things I enjoy doing but I’m not particularly good at, at least when compared to other people. Video games is one of these areas. I was playing a Harry Potter Lego video game with my seven-year-old great-nephew. Let’s just say that he beat the socks off of me, as they would say. my favorite “pass the time” game I play on the computer is Bejeweled 3. I’m sure most of my little nieces and nephews could beat me at that also, that my purpose and playing it is not to be excellent at it. It’s to relax. I’m a writer in a healing facilitator by profession. These are very important to me. I want to master these areas. That means I practice and practice and practice, with some timeout for more education, and then practice some more. I don’t want to be just good in these areas. I want to be excellent. What is the most important thing to you in your life? Your answer tells you what it is you need to focus on. This is where you keep working, keep learning, keep practicing and never give up. Don’t worry about how much time it takes. Time will pass. You can either accomplish something with it or look back and wonder why you didn’t do anything of value to you. Three Questions to Ask When Establishing Your Definite Purpose I’m sure you know by now that setting specific goals in life is crucial to achieving success. Did you know that there is something you should do before you set those goals? The critical task before establishing your goals is to analyze your desires and motivations and write out what Napoleon Hill in “The Law of Success” calls your Definite Purpose. Let’s look more closely at these three questions. Measuring the Success of Your Life most toys wins.” In bumper sticker wisdom, this is one way of measuring success. The implication is that life is about the accumulation of things. Of course, that is not true for most people. Life is much more than spending your time gathering things. How will you determine if you are successful? If you are in your twenties while reading this, you are just beginning your life and discovering what it is you want. Those in the midst of intense study for a field such as medicine, law or other doctoral degree have no time to read short articles such as this. Only those who are looking for ways to move themselves forward, to find a way to achieve, would have the time and inclination to read this article. Take ten minutes right now and reflect upon this question. If you died today, what can you look back on as achievements? Some people would list their education, projects accomplished, things they’ve accumulated. Others would talk about the people in their lives including their family and the number of friends they have. Still others, probably much fewer, would point to their relationship to their Higher Power and their spirituality. Be sure and do a quick list of your achievements before you read the next paragraph. Now for the next question that you have probably heard many times. If you only have six months to live, what would you do? The purpose of this question is to assist you in discovering what is really important in your life. The problem with the time limit of this particular question is that every one of us would probably choose to do something much different if we were told we had six months to live than if we were told we had ten years to live. The time constraint of six months [/one_half] [one_half_last]doesn’t require much long-term planning. For instance, you can run up your credit cards to do whatever you want without having to worry about paying them back. Did you answer the six months to live question? Now answer the same question but with a ten year time limit. Let’s make it a little different. Let’s say you’ve been told you have ten years to achieve something significant with your life, but aren’t told the definition of significant. If you’ve accomplished this in ten years, you are granted another ten years. If you haven’t done something of significance at the end of that time period then your life is over. Once a year you’d receive a note in the mail reminding you of the progress of time, but not telling you if you’ve achieved significance or not. You have to decide that for yourself. Now what would you do? Take a few minutes to jot down a few things. Your mind will answer the questions you ask it. That means your answers depend upon the way you ask your questions. The questions above are general in nature. You will receive different answers if you change the focus. For instance, answer this, “If you only had six months to make enough money to support yourself and three other people for a year, what would you do?” Did the answer change from the general “six months to live” question?